Few things are more gratifying than receiving an award, trophy, plaque or other commemorative item that signifies a special accomplishment. Often times, that commemorative item is the culmination of hard work, dedication and spent energy. Since 1989, Signs, Plaques & More has helped our clients celebrate special occasions with our vast selection of trophies, plaques, awards, signs and more. We work closely with clients in a wide array of endeavors, including businesses, schools, clubs, organizations, military units, churches, synagogues, and of course, individual customers. Located at 4400 Holland Road in Virginia Beach, we have the expertise and equipment needed to create the perfect item for your needs, regardless of the size of your order. From bronze trophies to elegant acrylic and glass awards, we can customize the perfect look for your item, and help you celebrate a special achievement. Incorporating a logo of your choice, engraving a custom designed plaque and adding full color to awards are among the different ways we can make your order unique. 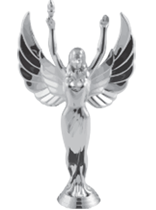 In regards to awards, our customers can select from laser engraved acrylic, marble and glass awards. Finishing a sports season, leading the company in sales, earning a promotion, being a top donor to a church, and joining an exclusive club are among the different types of occasions that we proudly help our customers celebrate. Yes - please keep me updated. No - please do not update me.